Boise Idaho real estate information, covering everything from local market data and home values to community events and featured Boise areas. We care about the Boise community and want to help you find your place in it. We'd love to talk to you about your real estate needs! Amenities include the multi-purpose community center, picnic area, walking and biking trails. 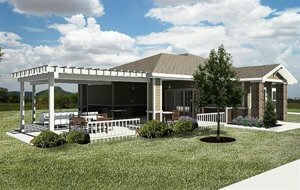 HOA covers lawn and snow maintenance, clubhouse, two large parks, walking paths, beautiful water feature, all less than 2 miles from the luxurious Village at Meridian. Downtown Boise is less than 20 minutes away. Cadence is the new, still under construction, 55+ active adult community located in NW Meridian (at Chinden Blvd & Meridian Rd.). This gated community is a collection of modern 196 single family homes is designed for active and maintenance free lifestyle with onsite fitness center, trails, recreation center, yoga studio, indoor pool and spa. Cadence is close to shopping, restaurants and only minutes drive to the vibrant Downtown Boise. 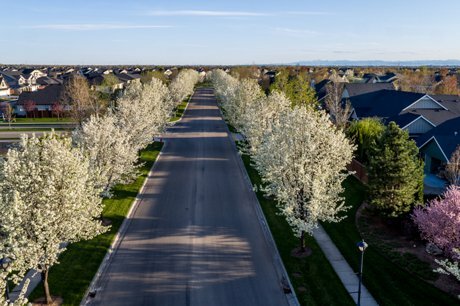 If you're looking for a worry and maintenance free active lifestyle, close to all of Boise's attractions, including close proximity to skiing, hiking, golfing, kayaking, Cadence 55+ community is worth checking out. Call Krystyna Ryan at (208)918-5007 or email greatboiseidahohomes@gmail.com for more info and showings. 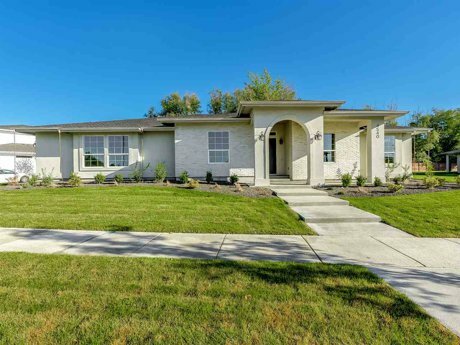 North Boise real estate market remains a seller's market. The available supply of homes for sale was 1.5 months in February which indicates a seller's market. It is a great time to sell a home in North Boise. 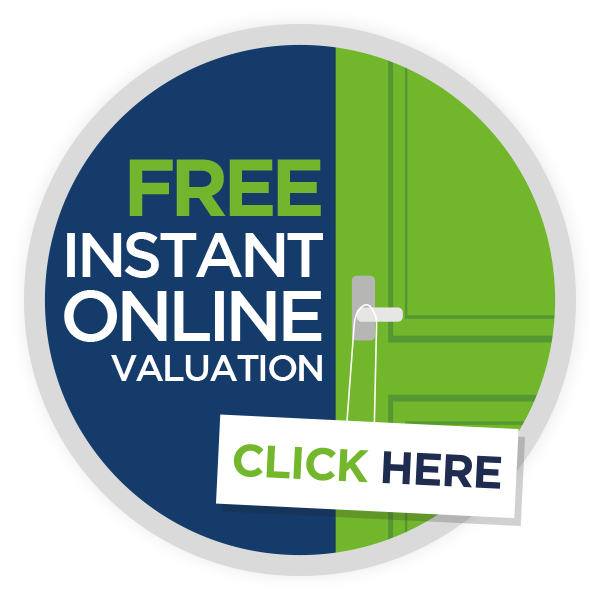 Contact us at (208)918-5007 for a Free home evaluation or click here to get an Instant Home Value Report delivered to your email. Total of 21 homes sold in North Boise last month. The average selling prices was $487,454 which represents an increase of 0.7 percent over January. The average DOM (days on market) was 30 days. Call the North Boise real estate expert - Krystyna Ryan - (208)918-5007 to find out what your home is worth in today's market. Real estate is "local" and home values vary from neighborhood to neighborhood. 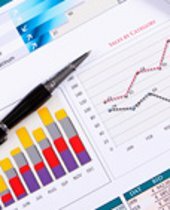 Thus it's important to get a customized home value report for your particular property. Contact us today to find out how you can maximize your equity. 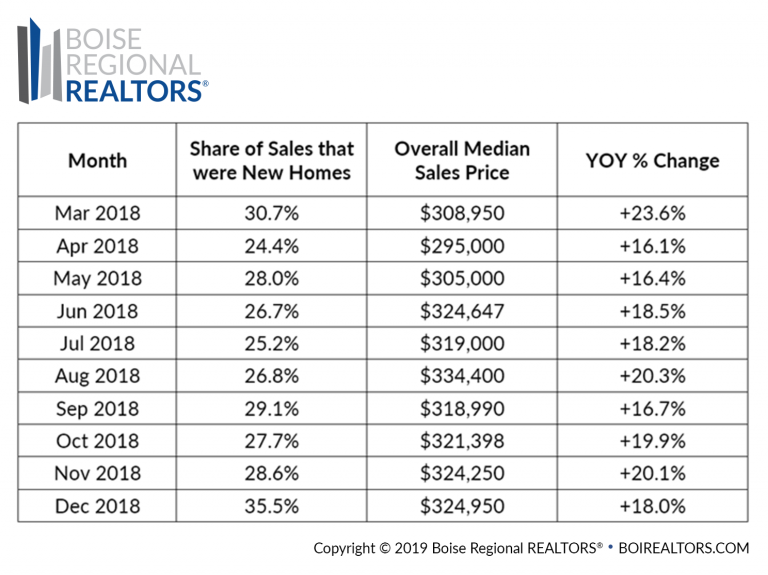 Number of homes listed for sale in January 2019 increased for the first time since October 2014 on the year-over-year basis in Boise. It was up by 5.7 percent compared to January 2018. Despite this uptick in existing inventory, closed sales were down 6.1% year-over-year. The number of closed sales that are even possible was limited due to the fact we’ve had fewer and fewer existing homes to sell each month compared to buyer demand. Despite this recent rise in existing inventory, overall closed sales were down 6.1% year-over-year. Looking at the existing/resale segment specifically, sales were down 18.4% from a year ago. The number of closed sales was hampered by the fact that there have been fewer and fewer existing homes to sell each month compared to buyer demand for over four years. In summary - Buyer demand for Boise real estate remains strong and it outweighs the inventory of available homes. Please contact Krystyna Ryan at (208)918-5007 with any questions, current listings and/or your home evaluation in today's market. Median price per sq ft is $186; days on the market - 93. Most expensive house listed at $7.8M, least expensive at $100,000. Real estate market is local with home prices changing from neighborhood to neighborhood or even from block to block. Boise, Idaho is increasingly becoming a favorite destination for Californians looking for an affordable place to make home. Boise Metro area is the fastest growing metro area in the country, according to Forbes. Many Californians are selling their pricey California properties and exchanging them for more affordable Boise homes. Real estate savings combined with lower taxes and overall lower cost of living make Boise very attractive to people moving from California. However, this phenomenon is not just about money. People who moved here from California, enjoy the lifestyle, good schools, mild climate. The high cost of living in California, requiring both parents to work thus often preventing people from spending valuable time with family. This family friendly environment in Boise is among the biggest priorities of people relocating to Boise and surrounding areas. Many entrepreneurs find their home in Boise since they are often able to work and conduct their business remotely. Boise Idaho has a business friendly environment with low taxes and wages. It's easier to attract qualified employees here, compared to California, where high cost of living and taxes are cost prohibitive to potential employees from out of state. Boise is very popular among 55+ active adults and retirees. They are probably the largest group of latest Boise newcomers. Beautiful and affordable 55+ communities attract retirees from California. 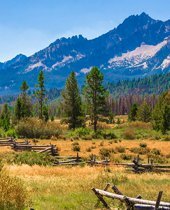 Boise climate with sunny summers and mild winters is also a major consideration for the Californians. 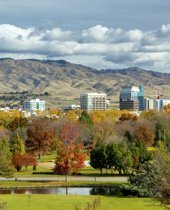 The combination of low cost of living, mild climate, good schools, family values, bustling city and great outdoors, make Boise a great destination for Californians wanting to move and relocate to Boise Idaho. Contact us anytime at (208)918-5007 with any questions. Sign up for Free property updates to familiarize yourself with Boise real estate. Once you're ready we'll give you a free tour of Boise homes for sale. 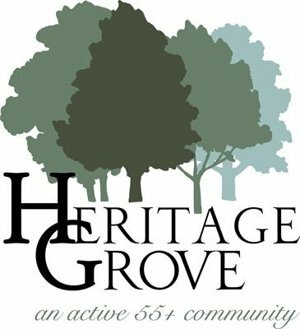 Heritage Gardens 55+ senior community in Eagle Idaho (Boise Metro) is our newest gated community for active seniors. 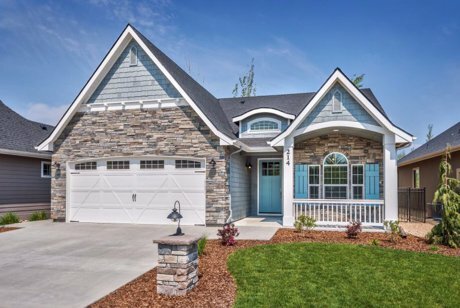 This 55+ community of single family homes is located in the safe Eagle Idaho neighborhood. 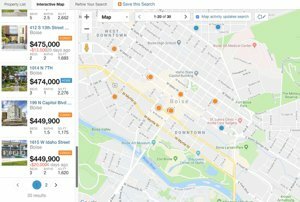 Walk, bike or take a quick drive to local restaurants, shopping, Boise River or Downtown Boise with all its attractions. New homes just built and waiting for finishing touches, according to buyers’ choices and tastes come on the market weekly. This is the best time to grab one of those beautiful new homes. Boise area has been a popular destination for active 55+ seniors. Call Krystyna Ryan at (208)918-5007 or Contact us for a free tour of our 55+ communities and a Free list of available homes. This is the “Spyglass” model. Spacious single level home on 0.5 acre. Open floorplan with great room, modern kitchen, separate office area. 3 bd 2.5 bath, 2,950 sq ft. Listed at $632,275. Boise ID has consistently ranked as a top retirement places. Come visit us and we’ll show you why Boise is on top of the U.S. relocation destinations. Our relocation services will ensure your easy transition to Boise. We have many beautiful 55+ senior communities in Boise ID. Boise ranks as one of the top places to retire. Mild climate, affordable homes, great outdoors, amenities, best medical care make Boise the favorable place for active seniors. Boise real estate offers a wide spectrum of properties attractive to active seniors. In you’re thinking about buying a 55+ senior condo in the beautiful Boise Idaho area, you’re in the right place. 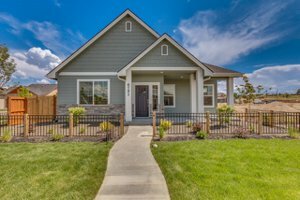 As the local Boise real estate market specialist, I compiled a list of 55+ communities. Please email greatboiseidahohomes@gmail.com or call Krystyna Ryan at (208) 918-5007 if you have any questions or would like a FREE list of homes currently listed for sale. If you’re thinking about selling your Boise home, please contact me and I’ll provide you with a complimentary home evaluation. Boise senior 55+ communities offer amenities that, according to studies, are important to seniors – more than 55% of participants of one such study feel that activities and programming within a community club are more important than the size and list of amenities offered inside the building. 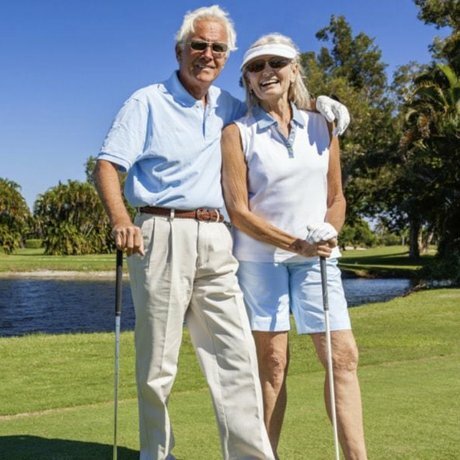 Active adult communities’ goals include helping with “lifestyle programming” — creating experiences that result in new relationships through not only clubhouse events and small group interests but also travel programs, such as trips to national parks, tropical islands, and European river cruises. Music is also part of the agenda, with 55+ communities. Making new friends is easy when you find the right place. Boise and Treasure Valley have so much to offer! Money's #3 Best Place to Retire. relatively low cost of living, affordable housing and easy access to a wide variety of cultural entertainments. Boise historic district homes are among the most popular real estate among Boise homebuyers. One may choose from historic homes on Harrison Boulevard or Warm Springs Avenue, to name just a couple of examples. Historic homes styles vary from a bungalow to a colonial revival style. Boise historic neighborhoods are located close to downtown with all of its attractions, museums, restaurants, theaters and more.. 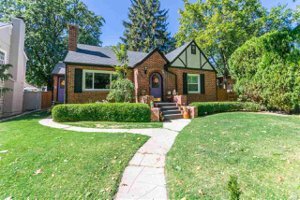 The Boise Historic District in Boise includes late 19th century and early 20th century buildings constructed of brick, sandstone, or wood in an area roughly bounded by Capitol Boulevard, North 5th Street, West Main Street, and West Idaho Street. The district is located within an area known as Old Boise, and contributing properties were constructed 1879-1920. Adelman Block (1902), 624 W Idaho St.
Eagles Bldg. (1917), 604 W Idaho St.
LeCompte House (c1897), 210 N 6th St.
Fire Dept. Storage Bldg. (c1900), behind 520 W Idaho St.
Central Fire Station (1903), 522 W Idaho St.
Star Rooming House (1895), 512 W Idaho St.
Royal Hotel (1890), 500 W Idaho St.
Catholic Chancery (c1918), 422 W Idaho St.
R.Z. Johnson Law Office (1885), 112 N 6th St.
R.Z. Johnson Block (1892), 577 W Idaho St.
Pioneer Tent Bldg. (1910), 516 W Main St.
Jellison Monuments (1920), 510 W Main St.
Perrault Bldg. (1879), 625 W Main St. Empire Theater (c1910), 619 W Main St.
Masonic Hall (1892), 615 W Main St.
Telephone Bldg. (1899), 609 W Main St.
Telephone Co. Annex (1915), 609 W Main St.
Statesman Bldg. (1910), 603 W Main St.
Chinese Houseboat (1900), 111 S 6th St.
Turnverein Bldg. (1906), 523 W Main St.
Knight Grocery (c1900), 507 W Main St.
Spiegel Bldg. (1892), 513 W Main St.
Belgravia Apts. (1904), 110 S 5th St.